It hangs in the sky as a foretaste of our dark future. Or rather the absence of any prospects for our race. The aliens arrived in orbit and announced the end of the world. There was panic down on the ground. Fortunately, there were several heroes, who were trying to save us. 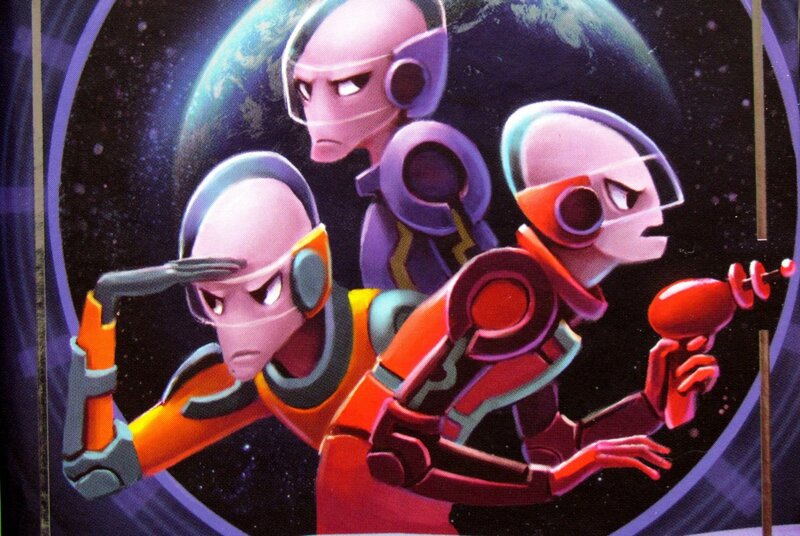 But it was only one of them, that managed to break into a mother ship in some incomprehensible way. 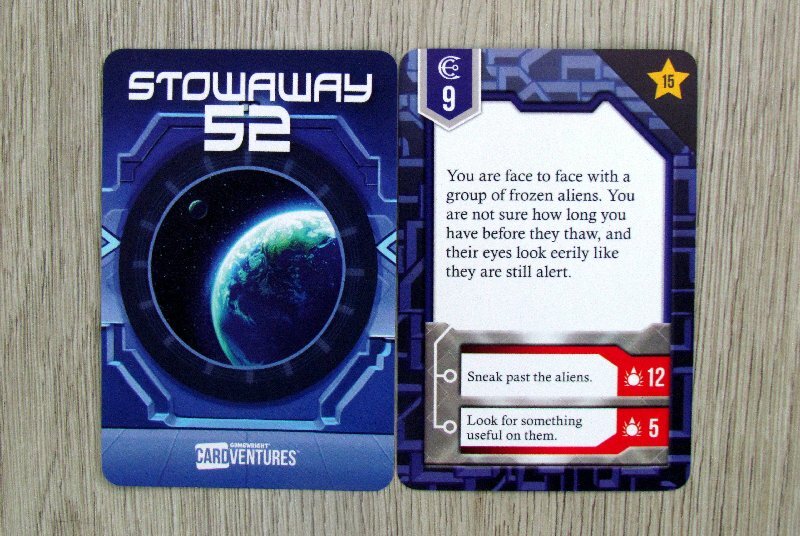 Countdown is running, armageddon is upon us and you have the only chance to save the whole world in Stowaway 52 card game. The word game is probably too much in this case. This is more of a card adventure. This is also, what the Cardventures series is all about and this new box belongs among these. The author of the concept is Floyd Pretz, a scifi illustration were done by Melissa Manwill. 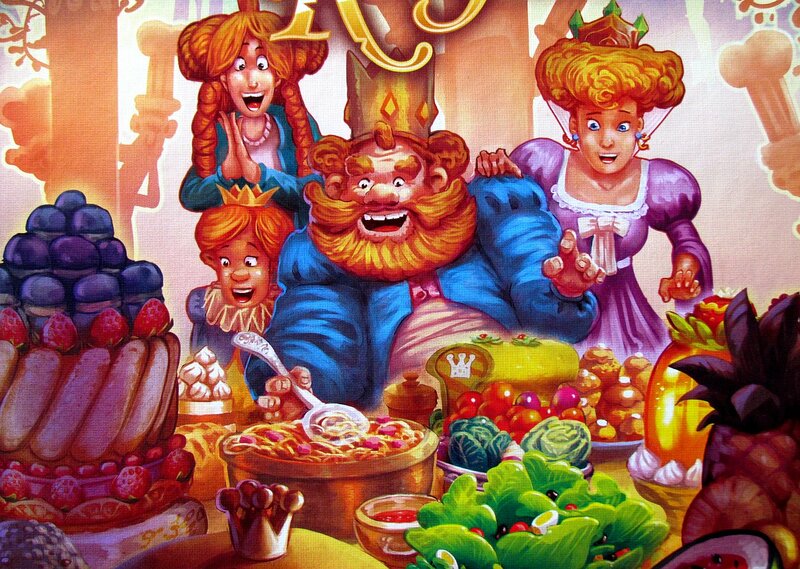 This is a newcomer to Gamewright portfolio introduced in 2017. Adventure is contained in a small box of two parts – lid and drawer. There are sixty-five cards inside. 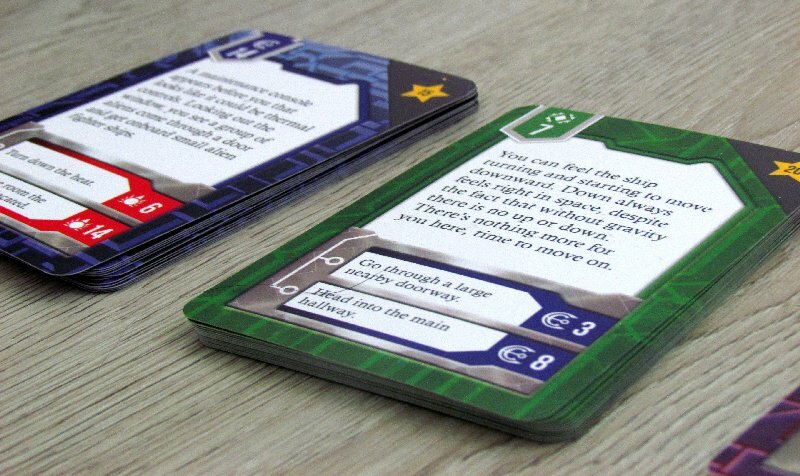 According to the back side, players divide them into four larger decks – blue, green, red and purple. 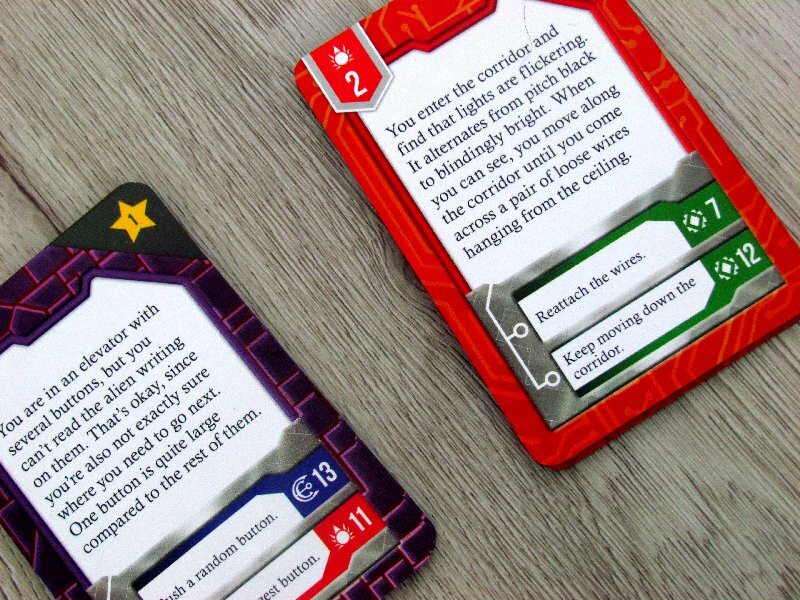 These piles are then stacked on the table in front of all players and the last four cards are left in the hand – two of them are rules and the other two are ending cards showing, how the story unfolds, according to the points reached. 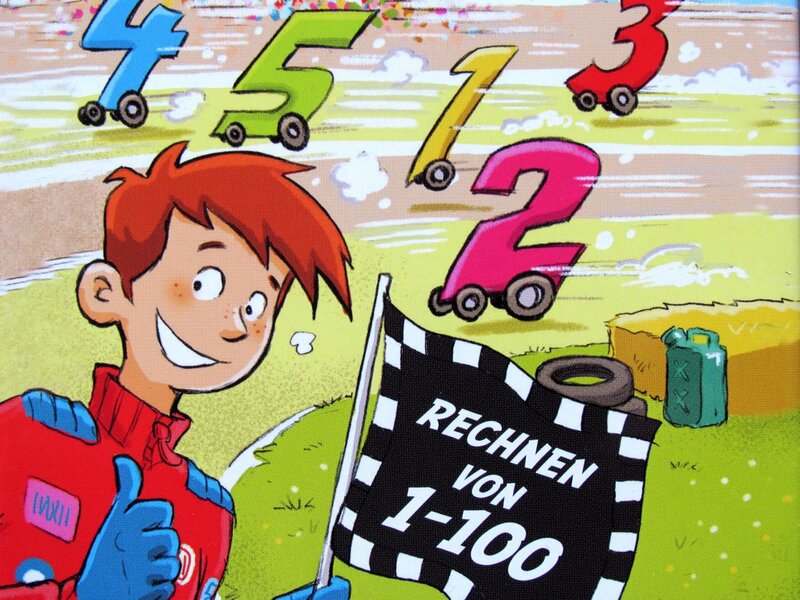 Cards in individual colored piles must be sorted by numbers and then the player can select any of them as starting. 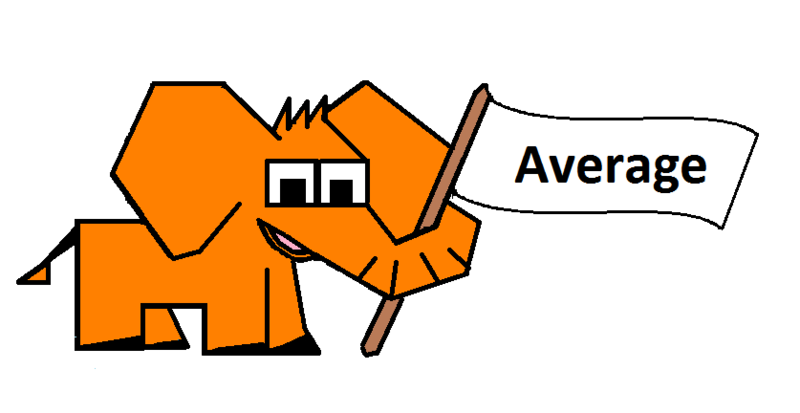 This is, where the heroic adventure begins on board the spacecraft in a random location. 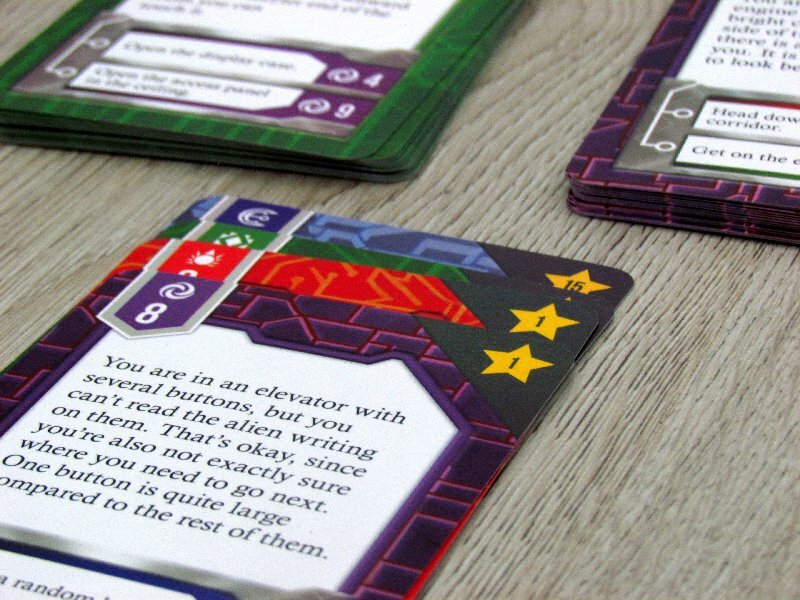 Starting location card is placed on the table, player reads its narrative and can start by making the first choice. 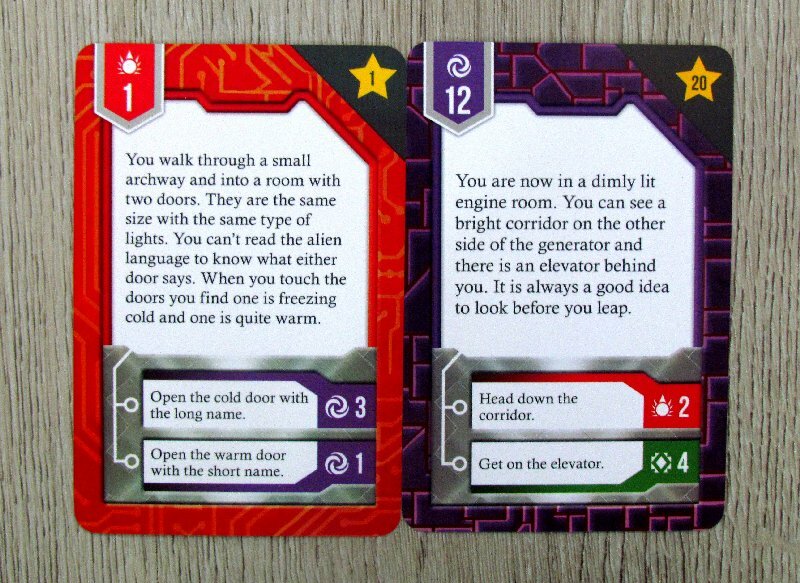 Each card is a description of some events, and ends with two options. Players can decide to proceed in any way they like. 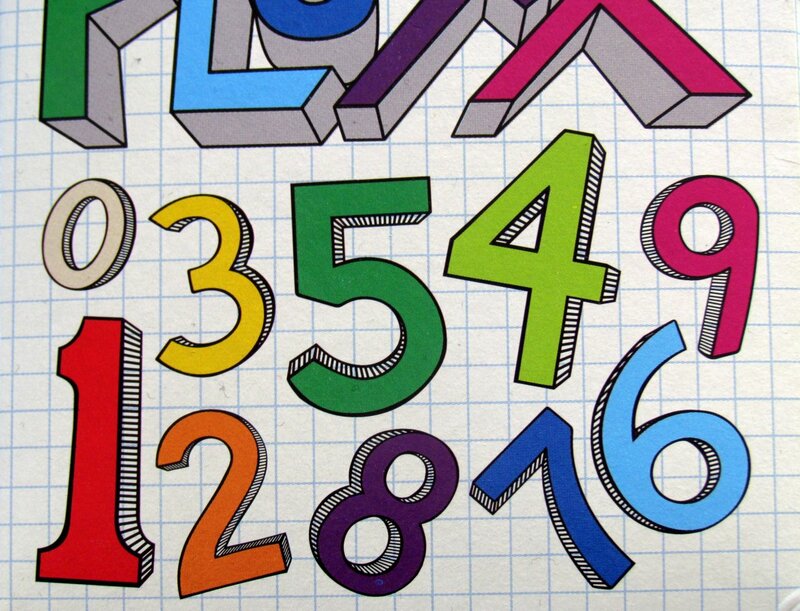 Each variant refers to number and color. 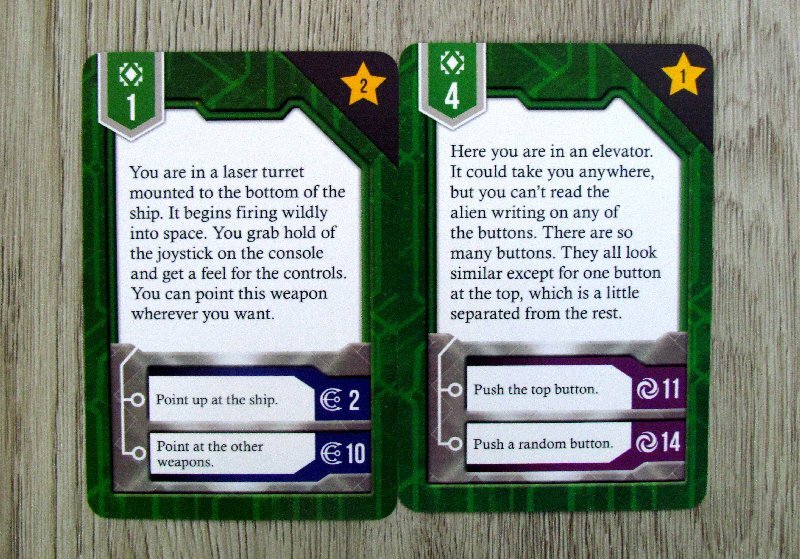 It is with this combination, that player finds a new card and learns how his adventures continues on board the ship. 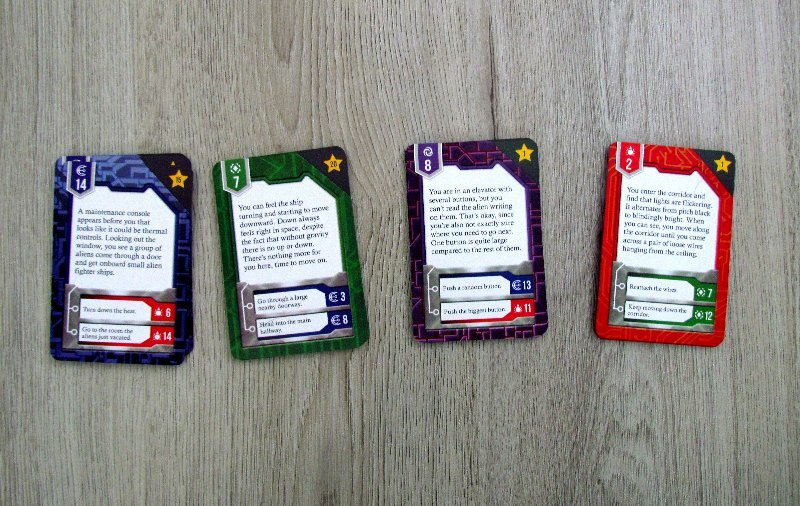 In this way, player in heroic skin advances on the ship and places one card at the other, creating his own story deck. He will soon find some items, that can be picked up and set aside. Later, an object might be handy. At the same time, hero has to be careful, because he will walk for the second time through some places and has to choose the right choice again. If there is a time, when the card referenced is no longer there (because it has been used and is in the story deck). In that case, player immediately failed in his attempt to rescue the Earth. Depending on the sum of the point values of the cards (shown in the stars in the top right corner), it is assigned to one of the range and can read the corresponding end. 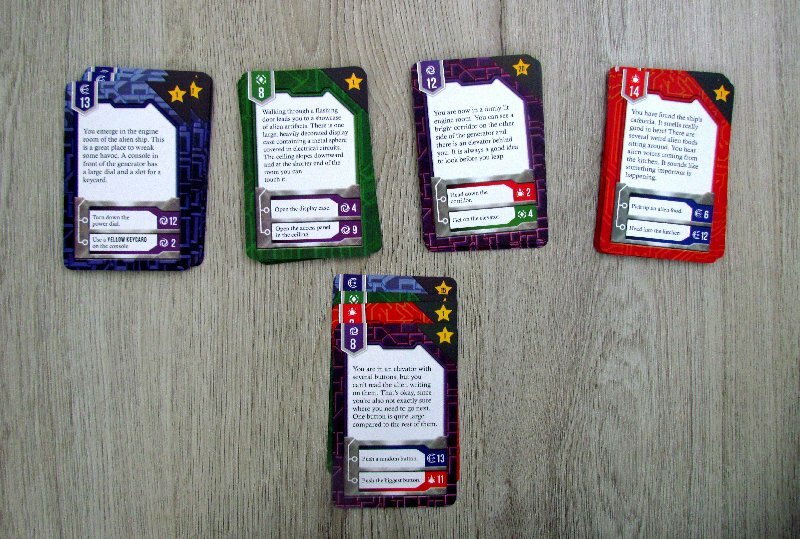 So Stowaway 52 is a very unique story game for one player. We will not conceal the fact, that we have been expecting some type of escape game. Perhaps, in direct proportion to this expectation, we were disappointed. 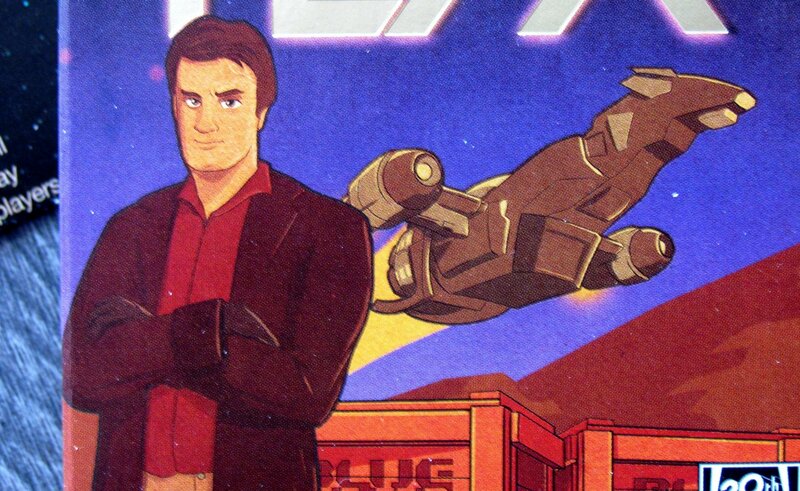 The game wants you to find one – optimal – way through the whole story. Without memorizing and unsuccessful attempts, it is only about a great deal of luck. Everything is significantly impacted by the choice of the first card as well, because you can pick up items accordingly. But gradually, the player will have to pass all the cards in the deck on his road. Just so he can really defeat intruders. The first passage is purely about luck. But repeat play can not offer any surprises. One of two choices is suddenly clear (based on previous attempt, as you were reliving your story in a Edge of Tomorrow way)and paths from them are also. During the third game, you will know most of the cards very well (their contents are very memorable) and you will not be entertained. Each passage takes about ten to fifteen minutes. 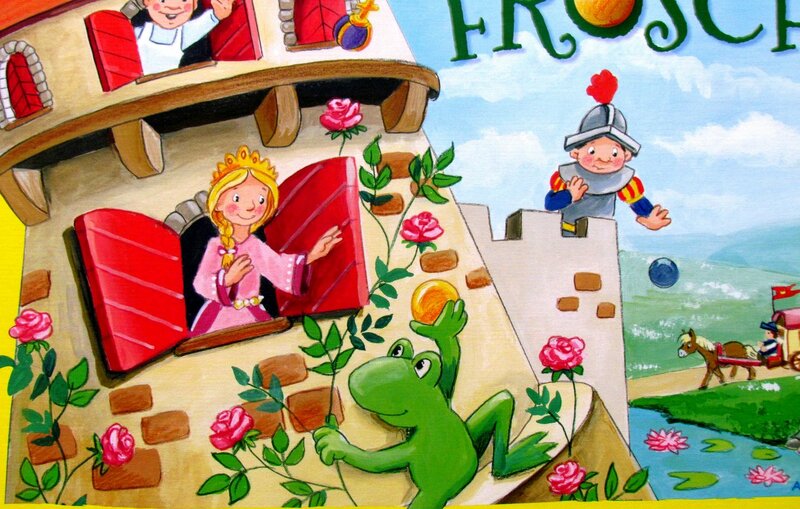 Game should be very similar to classic bookbooks. And the story works like that, but such a repeated adventure is no more fun. Would you like to play Lone Wolf again? Maybe yes, but if he had only 52 deviations, that you could move around, it would not last you for long. There is no struggle, nothing unexpected. So, if you are having fun mapping an unfamiliar deck of cards and discovering it gradually, despite the occasional death, then yes. In that case, Stowaway 52 could be fun for you. Otherwise, you can sure have a few minutes of entertainment, but it will not be able to last for too long. Stowaway 52 certainly had great potential, but the box did not meet our expectations. 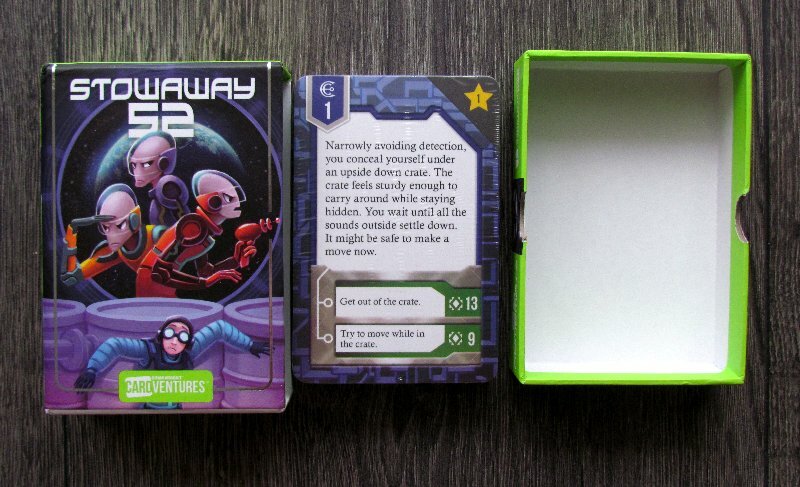 Stowaway 52 is a card variation for story-based, branched books. Unfortunately, there is only one correct passage through the gameand if you make one wrong decision, it means starting off again. At the end, however, there are different endings. Stowaway 52 gives you a choice on each card between two options. But we can not recommend this box with calm conscience.